Over the past two seasons, Jim Nill has carried 8 defensemen and 13 forwards on the Dallas Stars 23-man roster; not unheard of, but unconventional for him to have done it for two consecutive seasons. With the moves made this offseason to bolster the defense and goal tending, it seems as though the Stars roster will have a more normal 7D and 14F configuration for the 2017-18 season. 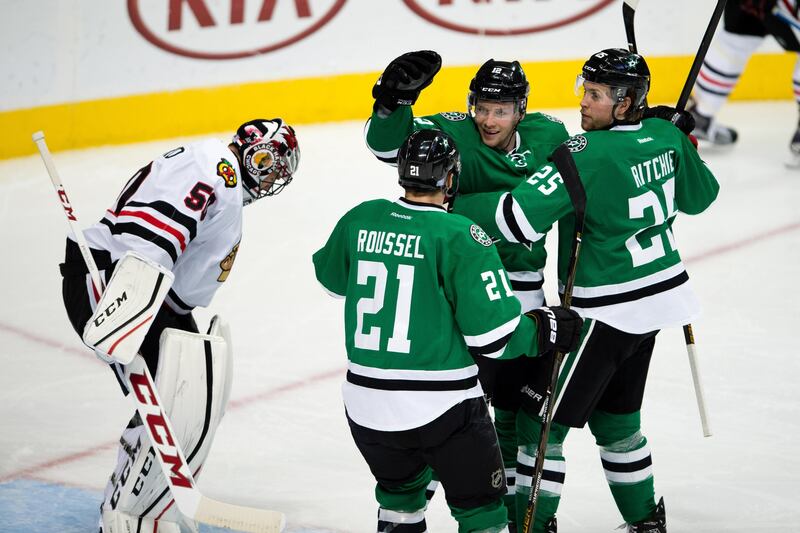 The top 7 forwards (Jamie Benn, Tyler Seguin, Jason Spezza, Alexander Radulov, Martin Hanzal, Antoine Roussel, and – if healthy – Mattias Janmark) are locks to be on the roster. The remaining 7 spots will see healthy competition just be in the building on opening night, never mind figuring out which 5 will dress…a problem Ken Hitchcock and Nill are certainly happy to have. in their own zone to start (DZ%>50.0), so you’d think that Ritchie, McKenzie, Flynn, and Smith are players the coaching staff will be watching closely to see who best fits In that role. Ritchie certainly seems to be the frontrunner as finishes more than half of his shifts in the offensive zone (CF%>50.0), despite starting nearly 6 of ten of his starts in the defensive zone (59.3).